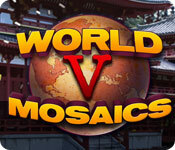 World Mosaics 5 is rated 4.3 out of 5 by 55. Rated 5 out of 5 by AdrianaIP from Warning!!!! HIghly Addictive!! I warn you. You solve one, and immediately want to solve another. They start easy, and before you know, you are sweating. When you are done, you have a pretty mosaic, and soon a wall full of pretty mosaics. That treat for the eyes hooks you for one more and one more.. And before you know you are buying the rest of the series.. Seriously, you used to have a life,... now you got another mosaic to build. Rated 5 out of 5 by apt2bash from Cerebelum Treat It challenges your mind in a wonderfully fun way. I found that the difficulty increase was a challenge but not horribly so. A wonderful game to escape the world around you. Rated 5 out of 5 by klovis78 from Puzzle good times I learned something, I wasn't bored, it was challenging. It's a winner. 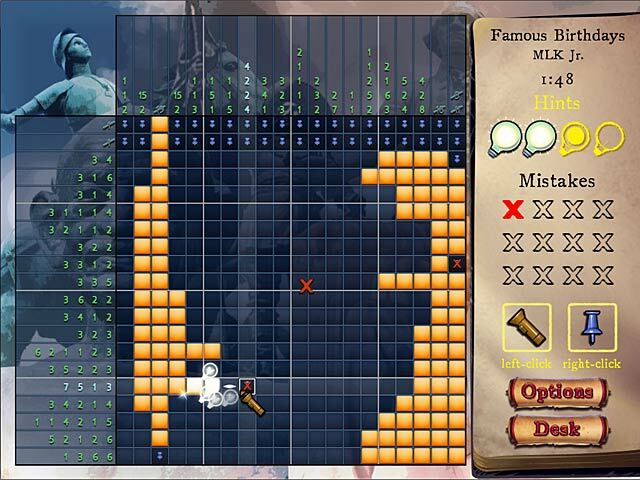 Rated 5 out of 5 by zarafa101 from Fun Puzzle Game This was the first World Mosaic game that I played. This is THE BEST! Challenging but solvable! Keep these coming!! Rated 5 out of 5 by ulazerous from Ozemandis fun exciteing, so addictive. hours of fun. Rated 5 out of 5 by Lindy294 from World Mosaics I love these kinds of puzzles. If you want a challenge for your mind that uses numbers, then this is the game for you. I have World Mosaic #1 to #5. I wish they would make more of these puzzles! Rated 5 out of 5 by sueandjack from Keep them coming! Great game! Makes you think-then think again. 10x10 can be easy but not always and then it really get fun. These games make you think. The five different ones are alike but not the same-each one is different enough to keep. Rated 5 out of 5 by MEnr56 from BETTER MUSIC PLEASE I REALLY did enjoy playing this game but have to admit that I was sorely put out by the music as the variety (what little there was) had NOTHING to do with ANY of the themes that a gamer was playing. 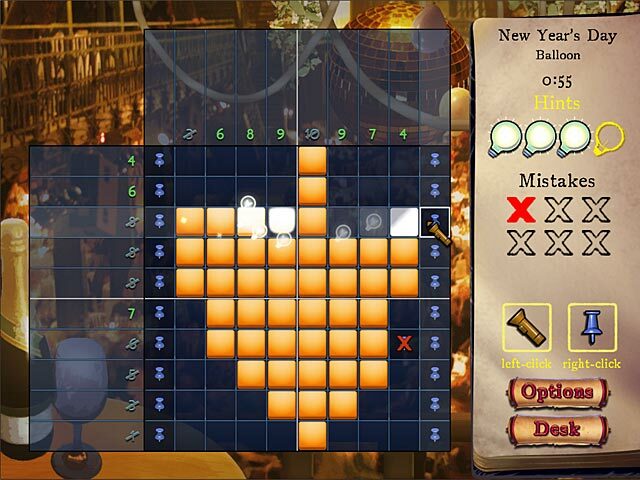 There were different themes (famous people, holidays, festivals) and I think that this game would have been REALLY GREAT had there been music associated with the different topics -- Christmas music, Roman music, Oktoberfest, etc. 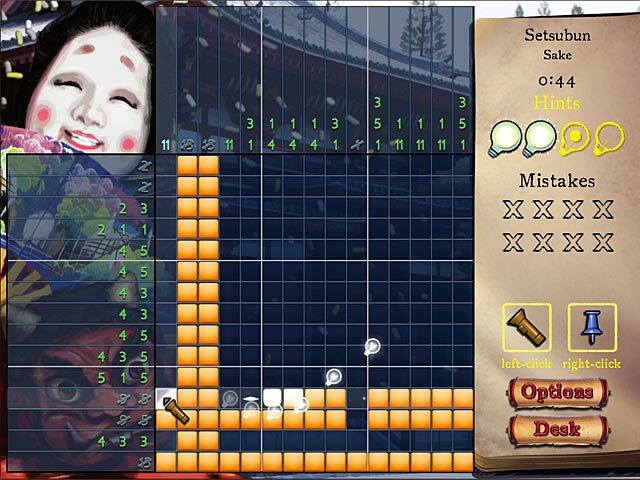 I found the history provided for each completed puzzle VERY INTERESTING and learned quite a few little tidbits.